On Thursday September 21st, the Schuylkill Haven Fire Department was dispatched to 13 E. Liberty St. for a possible structure fire. 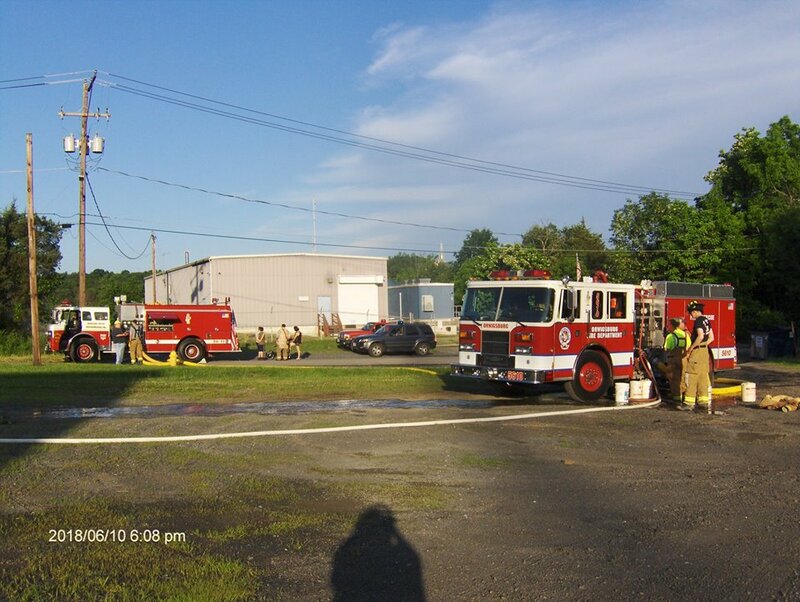 First arriving units quickly confirmed a working fire and upgraded to a second alarm which included units from Pine Grove, Cressona, Landingville, and Orwigsburg. The Friendship Hose Company responded with Engines 56-10 and 56-11. 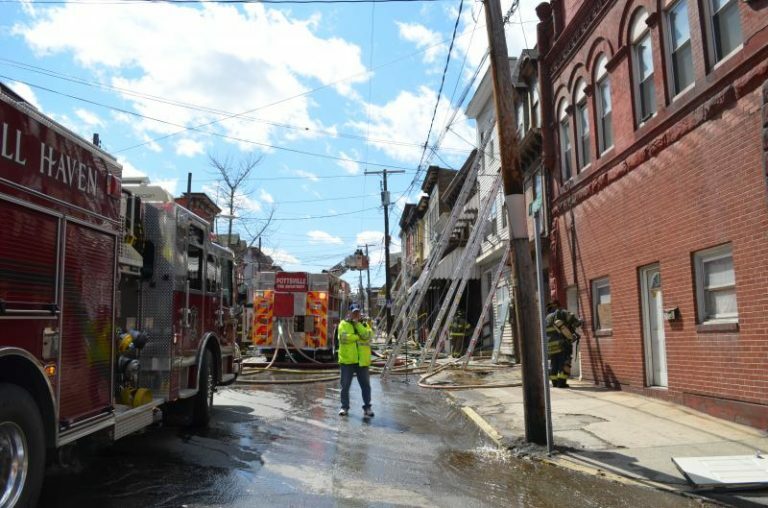 Members of the Orwigsburg Fire Department were initially sent to standby at the front of the residence before being sent to division 3 to takeover hose operations as the Schuylkill Haven crew already inside would soon require a break. 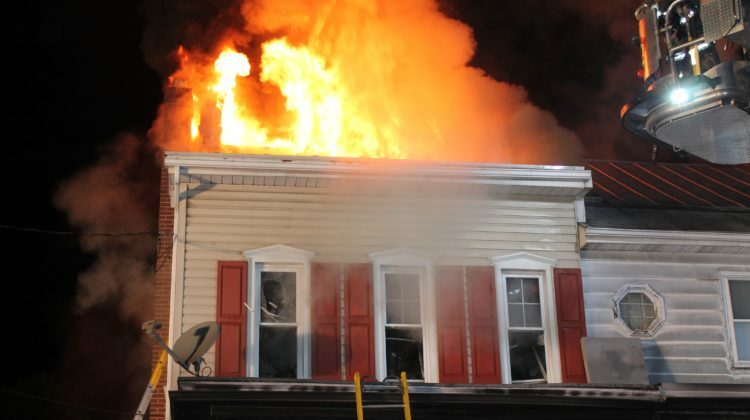 The fire was started as a decorative light on the back porch caught fire and spread to a propane tank which was not shut off causing the back porch to engulf. The Orwigsburg Fire Department along with New Ringgold, and Deer Lake were dispatched to an automatic fire alarm. Chief 56-01 arrived on scene and cancelled all units as it was a false activation. The Orwigsburg Fire Department was again dispatched along with New Ringgold and Deer Lake for an automatic fire alarm. Enroute a caller on scene advised it was a false activation – units went available. The Orwigsburg Fire Department was dispatched to a vehicle accident with no injury and fluids down at West Market St. and the entrance to the Blue Mountain High School. Members provided floor dry and traffic control. 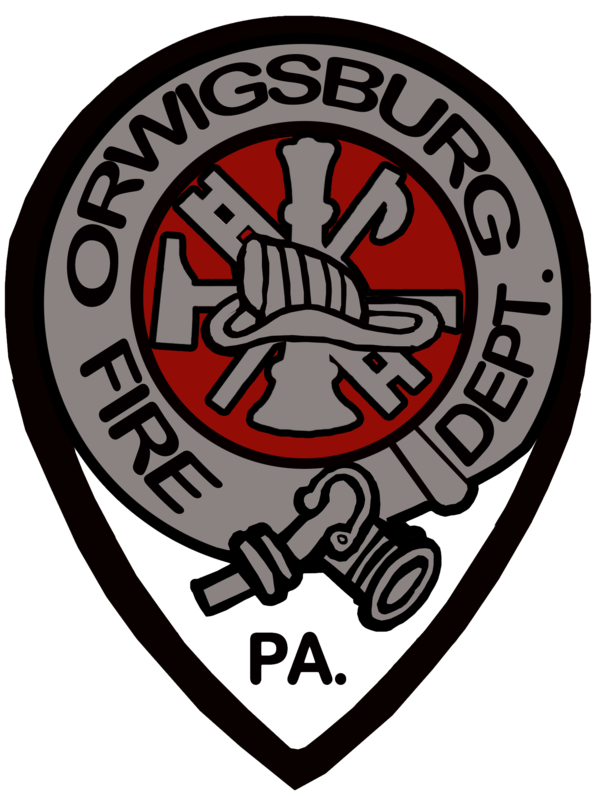 The Orwigsburg Fire Department was dispatched to USS Acheys for an unknown type fire. Engine 56-10 responded with six on board. 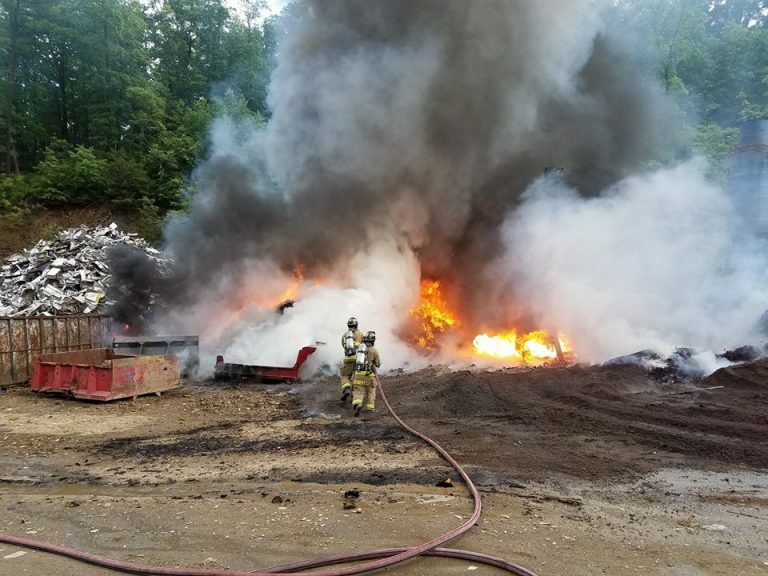 Schuylkill County Communications advised while enroute, that the “fluff” pile from the shredder was on fire. While responding, the crew could see a large smoke column at the location from the 200 block of W. Market St. A tanker task force was requested bringing tanker units from Landingville, Deer Lake, Schuylkill Haven, Auburn, New Ringgold, and Friedensburg. Crews arrived to find a large pile of various automobile parts heavily involved. An initial attack line was deployed but after a few minutes, engine 56-10’s water supply ran out until the first tankers arrived on scene a short time later. Once a water supply was established, an additional hand line from 56-10 was utilized. After the fire was under control, a crane was used to pull apart the pile so that all materials could be wet down and smoldering debris extinguished.